Roughly €114 million is spent every year to move the European Parliament between its Brussels and Strasbourg seats every month, according to a new assessment by the European Court of Auditors. EURACTIV Germany reports. “Finally the Court of Auditors is sorting out the mess of numbers,” said MEP Inge Gräßle, a German Christian Democrat MEP from the European People’s Party (EPP) who chairs the Parliament’s Budgetary Control committee. Gräßle praised the release of concrete figures on the cost of having three EU seats for the European Parliament (Brussels, Strasbourg and Luxembourg). Members of the European Parliament, their staff and files, regularly move between Brussels, which hosts committee meetings and Strasbourg, where plenary sessions are held on a monthly basis. Meanwhile, Luxembourg houses the Parliament’s administrative offices. Conducted at the request of the European Parliament, the Court of Auditors’ report showed that moving all employees from Luxembourg to Brussels, alone, would save €80 million over 50 years. Relocating the Strasbourg seat to Brussels would cut costs even more, saving an estimated €2.5 billion in the next 50 years. That amounts to €113.8 million per year, the Court of Auditors calculated. Until recently, there were no reliable numbers outlining the additional costs and certain costs were arbitrarily included or excluded in calculations. The debate over consolidating the Parliament’s offices has been going on for years but now, with qualitative data to back their arguments, MEPs are speaking more loudly than ever. “The calculations finally clear the most horrific sums from Strasbourg-opponents from the table,” said Gräßle. At the same time, €113.8 million per year in doubled costs is a considerable amount, said the chairman of the European Parliament’s Committee on Budgetary Control. When Green MEP Gerald Häfner and British conservative Ashley Fox called for an amendment to the EU Treaties in November 2013, they argued on the basis that MEPs should be able to choose where they work, Häfner and Fox said. But the fact that Strasbourg and Brussels, are seats of the European Parliament is laid down in the EU Treaties. Only the Council of Ministers can change this and only in unanimity. Häfner no longer wanted to put up with this situation. Not only is this a “pointless, expensive and environmentally harmful waste of time and money that considerably hinders the MEPs’ productiveness and efficiency,” he complained at the time. The status quo also affects “Europe’s capacity for reform” in its entirety. This makes it a “central issue of European democracy”, he pointed out. Häfner’s report was met with 73% support in the plenary, as MEPs made it clear they would like to put an end to the commuting headache. For decades, the European Parliament has been on the road once a month. Between 3,000 and 4,000 people, among them roughly 800 MEPs, their assistants, employees and interpreters move 400 kilometres from Brussels to Strasbourg. Their workspaces are empty for 317 days per year. For years, critics have complained that the so-called “travelling circus” is time-consuming and expensive. Six political groups in the European Parliament support the Single Seat Campaign by now, calling for a centralisation of the European Parliament. This way of working is “not always easy to manage in practice”, reads the EU’s information page. But the Council of Ministers is not likely to be convinced very soon, most of all with France’s position. “France will not simply give up Strasbourg as the Parliament’s second seat,” said MEP Elmar Brok from the European People’s Party (EPP). The economic factor is just as important as the status of the country within the EU, he said in a statement for euractiv.de. Many of Germany’s Christian democrats have so far defended Strasbourg’s status as a symbol of reconciliation between Germany and France but many have said they would welcome a single seat to simplify the Parliament’s work. Brok, who also regularly commuted to Strasbourg during 34-years as an MEP, fundamentally supports giving up Strasbourg as the second seat of the Parliament. Nevertheless, he warns that caution is necessary: “The Germans should be the last to promote giving up Strasbourg”, he said. The other countries should offer fair alternatives to soften France’s stance, Brok said. To compensate for the move, Brok suggested moving Brussels EU institutions like the Economic and Social Committee or the Committee of the Regions to the Alsace region. “A new EU University in Strasbourg would also be an option,” he said. Jens Geier, who is also a member of the Budgetary Control Committee, demanded more. “Almost €114 million in savings per year is still around 6% of the administrative budget and therefore no small matter”, he told euractiv.de. If Strasbourg remains a seat of the Parliament, he pointed out that many MEPs will have to represent a principle that they do not agree with. “Naturally the additional cost created by multiple EU seats further feeds the lack of understanding among citizens regarding the EU,” Geier said. Geier said a change to the corresponding EU-Treaty must be tabled in the next round of Treaty reforms. “The citizens must be actively involved, so that the governments decide to give up Strasbourg”, said Geier, adding that the German government must also take a position. Geier is backed by EU-budget expert Helga Trüpel from the European Greens. She too, is calling for Brussels to be the sole seat of the Parliament. But Trüpel is not convinced of compensating France “with a prestige project”. “It would have to be a useful, future-oriented project, so it can be certain that money is being meaningfully invested”, said Trüpel, speaking with euractiv.de. The Greens also see a need for practical savings in other areas, Trüpel said, such as restricting MEPs from flying business class on short-distance flights. The Parliament’s seat in Strasbourg clearly illustrates the historic achievement of the EU, said Trüpel. “But Strasbourg would remain the seat of the Council of Europe and not be given up as a symbolic place,” she explained. As a result, Trüpal emphasised, the European Parliament should not stop putting pressure on France to loosen its position on this issue. 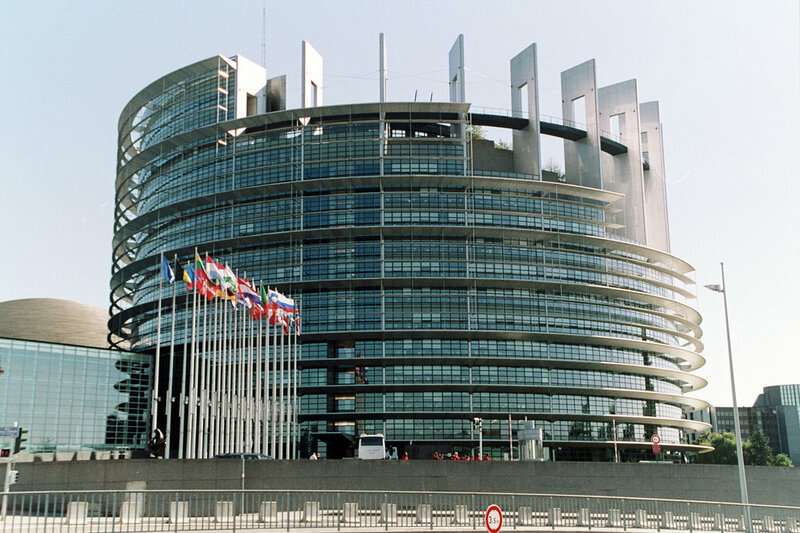 Philip Bradbourn MEP, UK Conservative spokesman on budgetary control, said: "This is the most powerful evidence yet that the wasteful Strasbourg travelling circus must be scrapped – and the sooner the better. When the EU's own experts are saying this is financial madness, surely it is time to listen." According to a decision taken in 1992 at an Edinburgh EU summit, Strasbourg is an official seat of the European Parliament: 12 four-day plenary sessions per year must take place there. Any decision to change this would require an amendment to the EU treaties, a process which requires unanimity among all EU member states. The value of current twin-seat system is often called into question, mostly due to the issue of cost. According to its opponents, the EU's 'travelling circus' costs taxpayers an estimated €200 million per year. The European Parliament also has a third seat in Luxembourg, where its administrative offices (General Secretariat) are located. The EU assembly held a few plenary sessions in Luxembourg between 1967 and 1981. Do you know what else is a symbol of reconciliation between Germany and France? The European Union. The EU parliament has only one seat: Strasbourg. Brussels is only another working place. The European Parliament in Strasbourg is symbolism rather than practicality. Would you put the Assemblée Nationale in Marseille rather than Paris ? The parliament has to be close the government that it is checking. It is the best cost-effective way of scrutinising the commission. That’s also the reason why the Council has been located in Brussels. Locating the EC, EP and Council in the same town is just logic. ECB in Frankfurt make sense as it is completely independent! Strasbourg is a choice of the past but Europe has a future. More than the absolute ammount of money (no small bill, but minor in the grand order of things), its the principle – its an outright waste of money, unjustifiable to the European taxpayer, and its wrong. Just send the bill for €113.8 million to M Hollande who can pass it on to the French taxpayer, annually and inflation adjusted. Everyone will then be less unhappy about this charade. The Brussels’ building was built around 1992. YES ! Go immediately for it ! Hi! Could you please elaborate a little bit? I find it somewhat difficult to detect sacrasm and I am not entirely sure if you are in favour or against the idea. If you are in favour, why do you think we need another EU University in one of the founding EU Member States? No , i mean this honestly ! Actually we have 4 campuses in Geneva, Montreux, Barcelona and Munich ! Geographically seen the western part lacks on campuses and this is a good allocation or connection between Luxembourg Belgium and Northern France ! There is already a university in Strasbourg. All the MEPs should come back in Strasbourg, nothing else! Students would not go to Strasbourg. I don’t think they want to be in the middle of nowhere but close to the EU institutions. To get top level EU official is better to be based close to the capital. Even now, there are a lot of students from all over Europe who study in Belgium just to be close to the EU to network. The College of Europe is one of the most prominent school to train EU officials. Do we need something new? The EU needs too declare a central seat of government and just stick to it. This endless concession making and trying to please everyone does not help anybody. Couldn’t Agree more with that! For such a responsibility – the way for the governance location shouldn’t be a problem at all ! In my opinion the E.U. should be well organized and not complicated like federal locations in the U.S. ! This issue is of particular interest because arguments in favour of the EP are about symbolism rather than practicality. But the EP is a symbol of what the EU could become. It represents the hopes and dreams of the euro-federalists. They are not concerned with present day practicalities but with the march of history towards the US of E.
So, as long as the present situation of split sites for the EP persists anti-federalists like me can relax. As long as French MEPs in the EPP continue to talk of Europe but think of France (and vote for Strasbourg) I know that the US of E is just a part of Nigel Farage’s nightmare. Judging from the EU’s historical abbreviating tendency, I see it more as European Federation (EF), instead of United States of Europe 😛 I do hope, however, that before such an institutional reform is undertaken, the levels of legislative stability, cultural tolerance, and financial and administrative certainty would be far greater in reality than they are in words.